Reason #421 I’m moving to California as soon as possible: Snowpocalypse part 5 is predicted to hit New York City this Wednesday. I have never seen so much snow in my life, and I grew up in Pennsylvania, not Florida. This winter is insane. New York has already gotten 36 inches of snow… in January alone. That doesn’t count the first two feet of snow we got the day after Christmas. That time, the city actually shut down and everyone “worked” from home. Subways stopped working, people got stuck underground, the city didn’t plow or pick up trash, and we all cried ourselves to sleep. Oh wait, we’re still doing that a month later. It snowed again last week, this time 19 inches, and my flight to Ft. Lauderdale got totally cancelled. Yes, my vacation to the beach and Disney World to escape the snow was cancelled because of snow. I went to the airport anyway, because the flight was merely delayed four hours, and I reasoned that perhaps the snow would just head north, where it’s more welcomed. But no, as soon as I paid my $40 cab fare, they made the announcement: LGA (sorry JFK) to FLL cancelled, next flight out maybe Saturday. It was only Wednesday, and snow was predicted to fall through Saturday. 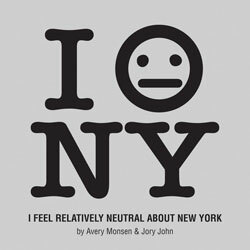 So I cried some more and went home with my refund, making sure to drop the F-bomb along the way, like a true New Yorker. Upon my arrival back at home, with luggage, which we hauled through the snow and ice across Manhattan from Queens to Jersey City, I vowed to move to San Diego before next winter. I tried to make the most of being trapped in the city. I kept my vacation days, and did touristy, typical New York things: kosher deli, Broadway show (American Idiot), bar, NBC Studios tour, expensive lunch at a mediocre diner, Milk Bar, got chased by a raccoon in Central Park while trying to sled on a garbage can lid… the usual. Saturday I drove to the Poconos, snowtubed (due to lines, we got down the hill twice in two hours), played flip cup with college friends, went in hot tub, and then skiied. Here’s the thing about skiing. I started skiing when I was approximately five-years-old. I’m from the Poconos, or 20 minutes away. I ski every year. I hate it every year. I don’t understand what the appeal is. It’s just not fun. It’s expensive (about $80 with rentals for the day), uncomfortable (have you ever worn ski boots? They can’t invent something that doesn’t bruise your shins and feet?) It’s cold. I mean you’re on a mountain, it’s snowing, and you’re swinging around on a rickety metal swing to get to the top so you can work your way down on plastic slabs, hoping to avoid trees, fallen snow boarders, breaking limbs, and pure ice. Skiing is only okay if it’s about 1910, you live on a mountain, and you have no other way to get to town. Thankfully, they invented SUV’s, snowmobiles, and beach towns since then. The one nice thing about skiing is being outside in nature. The air is so fresh, and it can be quiet, if you find the right spot to crash and sit for twenty minutes, working up the nerve to continue. But after one time down, the lodge is just fine for the rest of the day… except the lodge is crowded and dirty. So really, I’m okay with laying on the beach instead. I know I’m being so pessimistic and focusing on the negative, which I don’t mean to do. I did have a good weekend. It just wasn’t Ft. Lauderdale, Miami, and Disney World. And I do like the winter, in photographs and in snow globes. Just not when I’m walking through it and it’s messing with my plans and trapping me. And I do like New York, after about three cocktails in the summertime. I have this image on a t-shirt, and I wear it around town. This entry was posted in New York, Sports and tagged beach, blizzard, California, central park, ellyn rice, flip cup, Ft. Lauderdale, JFK, kosher deli, Milk Bar, New York, New York City, NYC, Poconos, san diego, skiing, snowpocalypse, winter. Bookmark the permalink. You got chased by a raccoon??? WTF that’s hilarious!! Umm yes. I didn’t know we had raccoons in NYC. Shaun thought it was a beaver. He’s such a suburbanite. It may have had rabies actually, so I ran for my life. It probably weighed 50 pounds, likely survives on toxic trash.